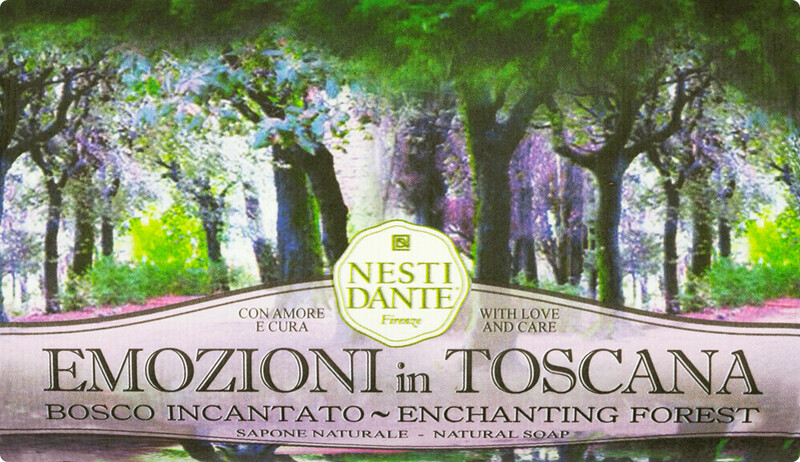 Inhale the fresh air that dances in-between the Tuscan trees with the Nesti Dante Emozioni in Toscana Enchanting Forest Soap. A tribute to the Tuscan countryside, this enchanting soap transports you to a forest that is bursting with vitality, the fresh, green aroma filling your lungs with clean, crisp air. Created with natural olive and palm oil, the soap bar is softening and oxygenating, leaving your skin feeling intensely nourished and cleansed after each use. Handmade in Florence, through the traditional process of saponification, each Nesti Dante soap is of the highest quality, ensuring a soap that is truly luxurious and pampering. To use, run the soap under warm water, working into a thick, rich lather. Rinse with warm water.